Today’s challenge is one of the most important steps to take to help your business compete in a super competitive online world! We want to tell Google how to find your business! The process only takes about 10 minutes, but is the first step in boosting your firm's virtual street cred. Most business owners don’t realize they must confirm with Google to ensure Google knows you are open for business. The good news is, this is a simple process. The other day, I noticed a new mom and pop donut shop on the other side of US19 in Palm Harbor, Florida, where I live. Being a major fan of pastries, I was intrigued and spontaneously decided to make the awkward U-turn to venture across 3 lanes of the busy highway. The life risking move would prove to be worth it for an amazing donut! As I hoped, the donut shop didn’t fail me. I wanted to share my new-found treasure with all my friends and family. However, US19 is a sea of strip malls and the donut shop was not on any notable intersection. So, to make sure my friends could find it, in my social media post I wanted to include a Google map of their location; but unfortunately, their business was not registered with Google and I was unable to clearly articulate how find this amazing business. We have become conditioned to look at Google, or Maps or Yelp for the businesses that can serve us. With attorneys, most people are looking for you at the exact moment they need you. It's not like buying a new laptop, we don't have the luxury of time to spend weeks researching. When we are searching for a DUI attorney near me, we need one, a great one, and we need it yesterday. If your business has not told Google how to find you, the clients that need your representation may not be able to find you either. The good news is, we are going to fix that right now. 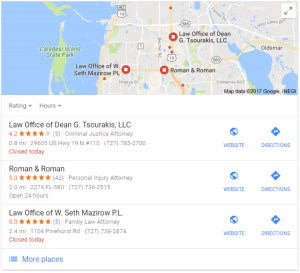 This is critically important to your business because location is one of top 3 considerations when your clients are searching for an attorney. 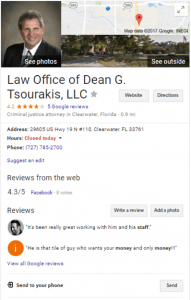 If your firm is not registered with Google, you will not be found as a DUI attorney, no matter how awesome you are. This is super frustrating for rock star attorneys or practice managers, like yourself. You have one simple thing to get done today, your time should be blocked out for this, so you know you do have the time the get this done. P.S. 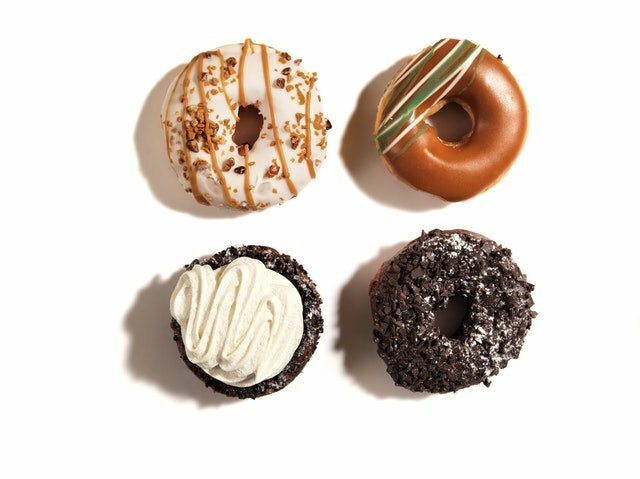 – If you are wondering what the donut shop was, it’s called Jupiter Donut Company in Palm Harbor, FL. You can now find them on Google because I promptly informed the owner he needed to tell Google that they were open for business. The owner was so busy running their business, they didn't know they need to work on their business too, in order to really make it grow! Make sure Google knows how to find your business! Even though your website may be found on Google, still complete these steps to verify your listing or setup your listing for the first time. To make this easier for you, we have created a handy dandy tip sheet. Click the button below to print the tip sheet and then you are ready to get started!